Home / Handy Hints / Appliances / Dishwasher vs Hand Washing: How do they stack up? Dishwasher vs Hand Washing: How do they stack up? Published: February 5th, 2018 by Simon. Filed in Appliances and tagged Dishwashers, Energy efficiency. Everybody owns at least a few kitchen appliances. While most kitchen appliances are designed to save time, many appliances also offer cost savings and better energy efficiency. However, it can be difficult to estimate the energy cost and water usage of certain kitchen appliances such as dishwashers. The average lifespan of a dishwasher is estimated to be 10 years. For those of us who own a dishwasher because of time-saving benefits, it’s a long-term investment we’re happy to make. However, for those who enjoy hand-washing, there’s a good chance you’re only on this page because you want to see if a dishwasher can save you money in the long run. As the head of purchasing at Ross’s Discount Home Centre, I always get asked by customers whether a dishwasher really offers cost savings in the long run. And no doubt you have the same question. So today, I will answer popular question this once and for all. Continue reading to find out whether a dishwasher is more cost-effective than hand washing. Before you can compare a dishwasher to hand washing, you need to understand the costs of using a dishwasher. This is difficult to determine as there are several factors in play. Factors like the size and efficiency of a dishwasher, the water temperature and how often dishes are done all play a role in determining costs. So let’s break things down. First, of course, is the cost of buying a new dishwasher. Typically, a quality dishwasher will cost you anything between $650-$1,500 depending on capacity and features. Next, we need to consider the cost of every load. This depends on the capacity as well as the star rating of a dishwasher. 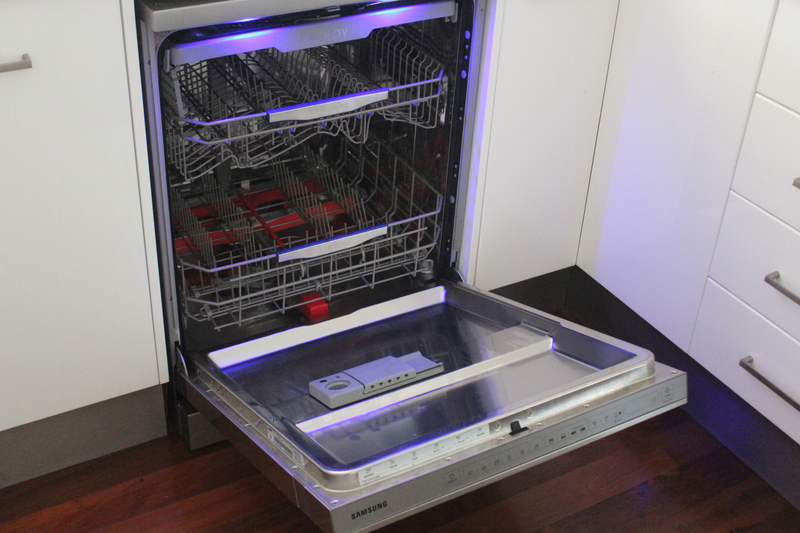 Canstar Blue estimates that the cost of electricity per a load of a dishwasher ranges between $0.12-$0.40. These estimates are based only on cold wash and normal settings. 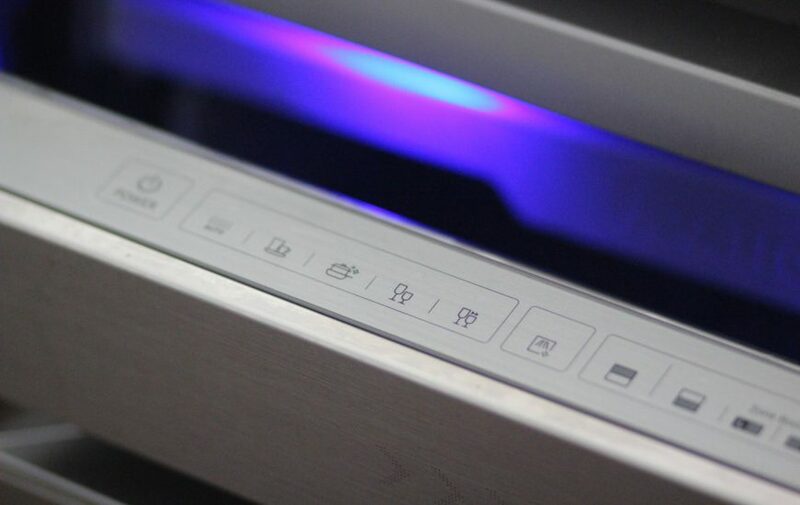 As such, your costs per load can be higher in case you use higher settings or hot water. Finally, there’s the cost of water charges per dishwasher load. Now, the typical dishwasher uses up about 13L of water for each load. Comparing this to the standard rate of water in Perth, which is $2.2/KL, the cost comes out to be only $0.28 per load. These estimates should give you a rough idea of the total cost of your dishwasher. Do note, however, that newer dishwashers, like those sold here at Ross’s Discount Home Centre, have better efficiency ratings than older models. If you’re looking to get an energy efficient dishwasher in Perth, our 60cm Freestanding Dishwasher and our 60cm Semi-Integrated Dishwasher are excellent choices. Now we look at the question, is a dishwasher more cost-effective than hand washing? At first glance, it may seem that dishwashers are more expensive than hand washing. And iIn fact, many Aussies also believe that hand washing is more cost-effective than dishwashers. This is because muscle power is free. However, most people tend to use more water when washing dishes by hand than a dishwasher will use. While water costs may not add up much, if you consider water heating costs, then your costs will definitely add up. Many experts, including Energy Star, claim that using an energy-efficient dishwasher is certainly more cost-effective than hand washing in the long run. So, if you do decide on getting a new dishwasher, make sure to get a high energy efficient model. Let us know your preference! What do you prefer, a dishwasher or hand-washing? Comparing the cost-effectiveness of a dishwasher versus hand washing is somewhat tricky. There are several costs associated with dishwashers, which include the purchase price and the cost of electricity and water per load. While hand washing does not use electricity, it usually uses more water than a dishwasher. Also, if water is heated up, then the costs of hand washing certainly stack up. Experts claim that energy-efficient dishwashers are more cost-effective than hand washing in the long term. If you agree and you’re considering getting an energy efficient dishwasher in Perth, look no further than us at Ross’s Discount Home Centre. We offer a whole range of fully integrated and semi-integrated dishwashers for you to choose from. To buy your new dishwasher in Perth, drop by our showroom in Guildford or shop online today!